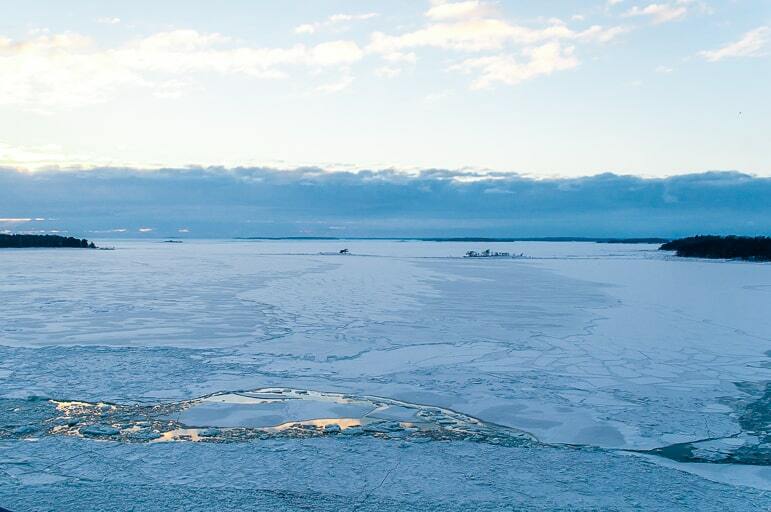 The journey from Helsinki to Tallinn is certainly different to what you might expect between two European capital cities, certainly in winter at least. 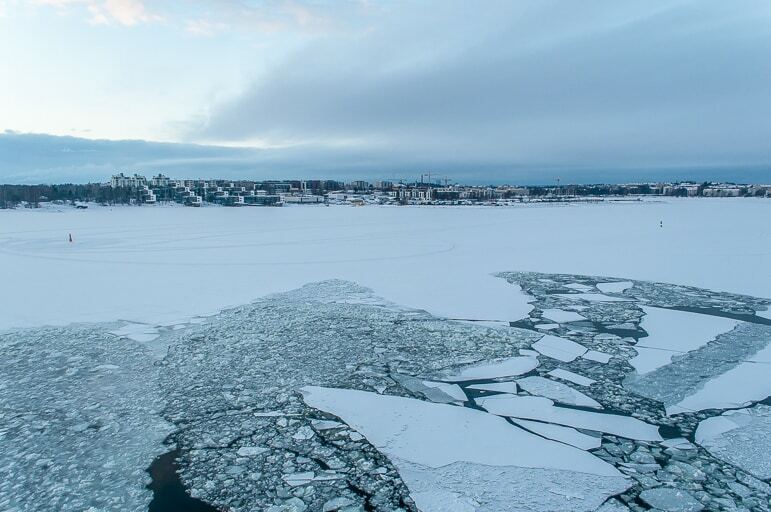 In the deep freeze of the season in northern Europe, these cities are set in ice, and the journey on the Helsinki to Tallinn ferry is an ice-shattering experience as the ship cuts through a frozen Baltic Sea. Northern Europe was for a long time under-explored for us, so we were excited to venture north, and discover these cool cities. 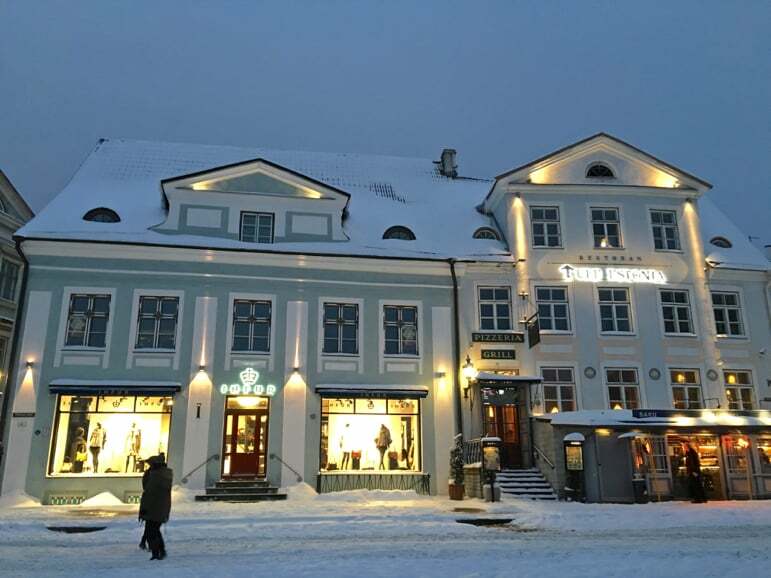 They have commonalities – a trendy, kooky Nordic vibe – but their contrasts make them a fascinating twin city break. 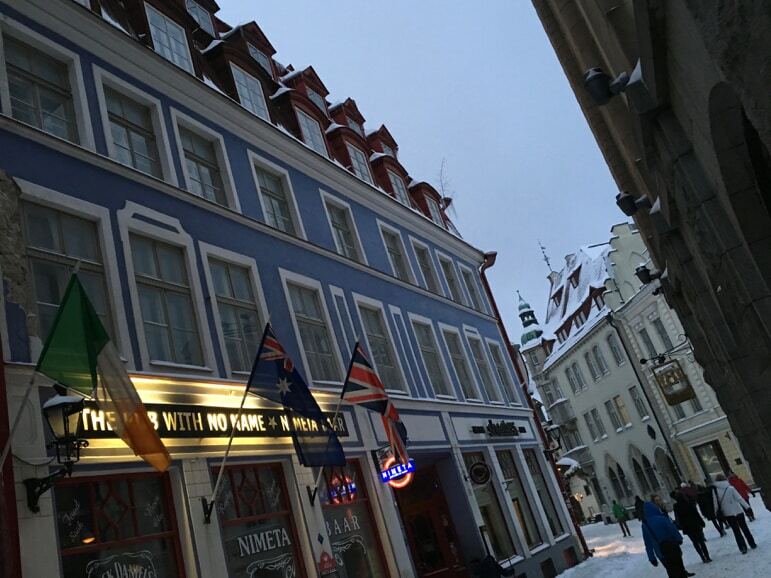 Tallinn is the historic city, with the cobblestone old town to match its years. 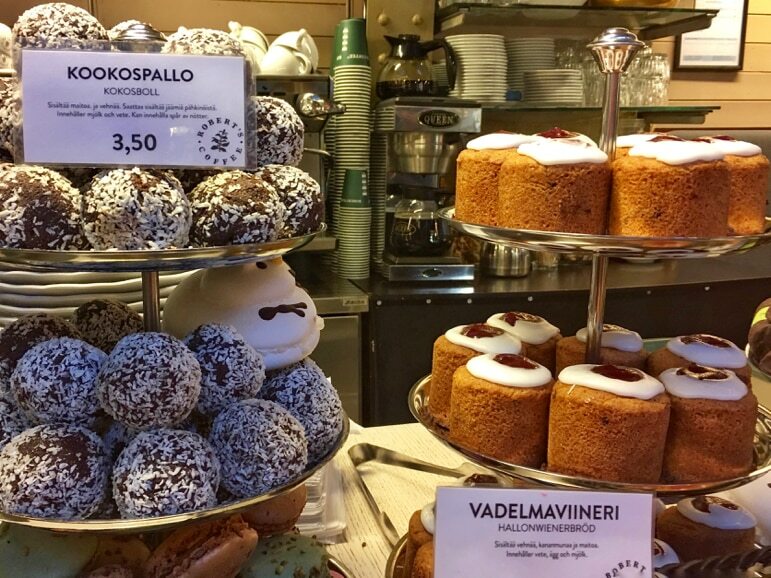 Meanwhile with an independent Finland 100-years-young this year, Helsinki is a mere whippersnapper of a European capital city. This gives it a youth and vibrancy shaped by modern architecture and design-conscious locals. 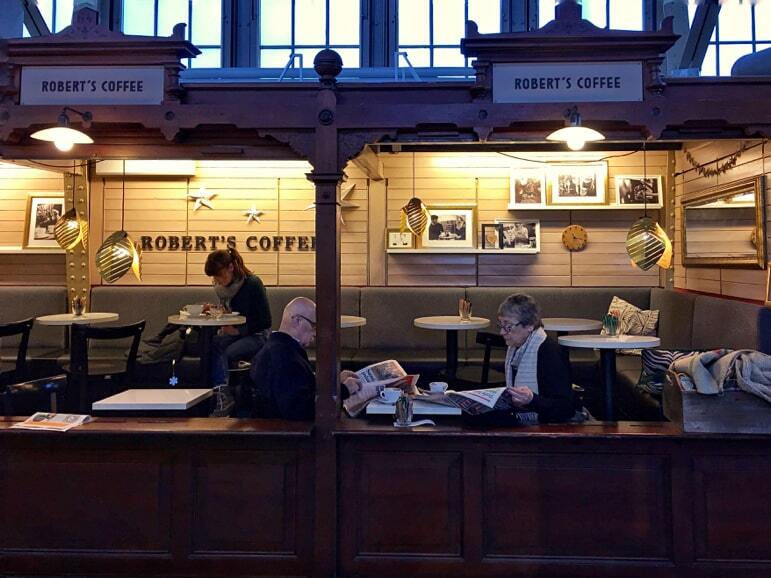 It’s a place where you can wander, pop into a café – the Finns’ well-documented love of coffee means there’s always a good caffeine-fuelled drop in. 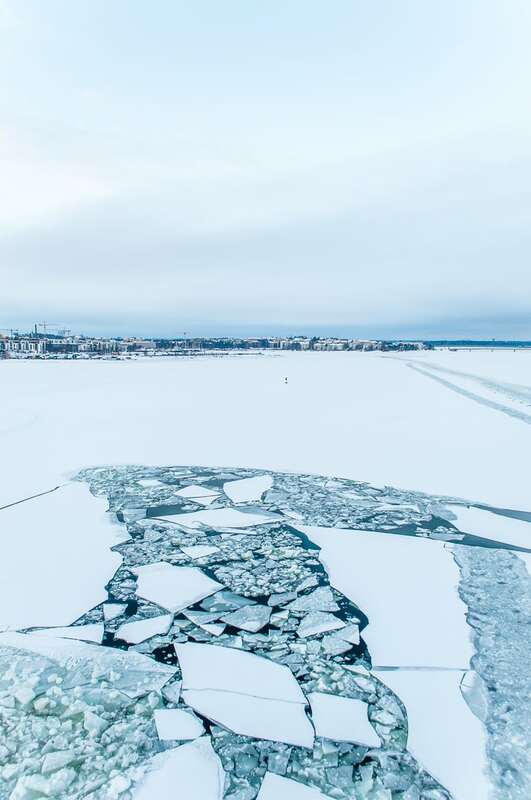 Many visitors to Finland skip the city to make for the country’s countryside – and with the attractions of Lapland, 188,000 lakes, spectacular countryside, and plenty of wild experiences, it’s understandable. However to do that should be a crime against coffee lovers. Helsinki is historically-speaking, a relatively young capital city – it only became Finland’s capital in 1812, and Finland only gained its independence from Russia in 1917. As a result, the city has very modern lines, with Nordic minimalism evolved from Art Nouveau, which evolved from Neoclassical architecture. Leaving my hotel, the rather lovely Design Hotel, Klaus K – yes, Finnish design is a feature of its hotels too, we were soon at one of my favourite buildings. Central Railway Station – is a late Art Nouveau style and a building I feel I could look at forever and still find interesting details. Perhaps it’s the dominating presence of the light-holding sentries on each side of the entrance, their stark features softened by a sprinkling of snow. 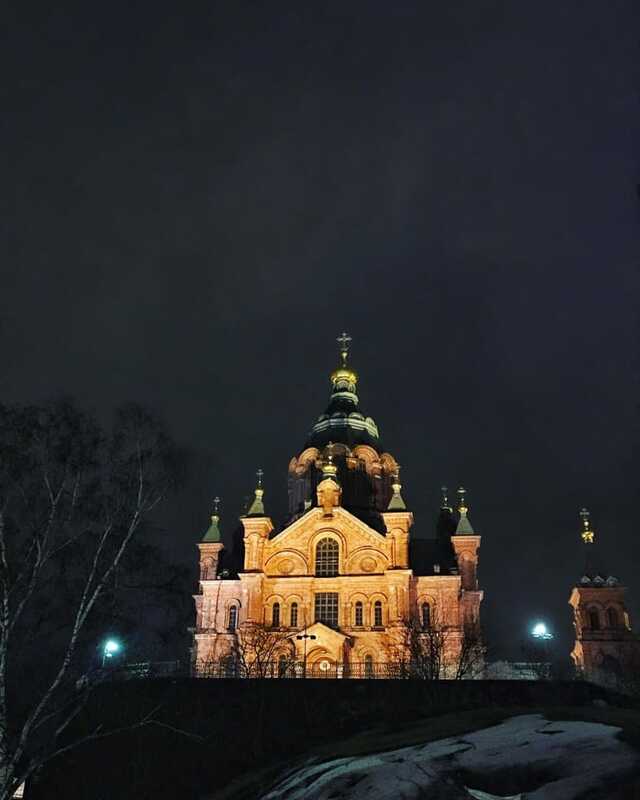 Other great examples of Helsinki’s architecture are the modern Finlandia Hall, and the Byzantine-Russian Uspenski Cathedral that sits on a hillside over the city. 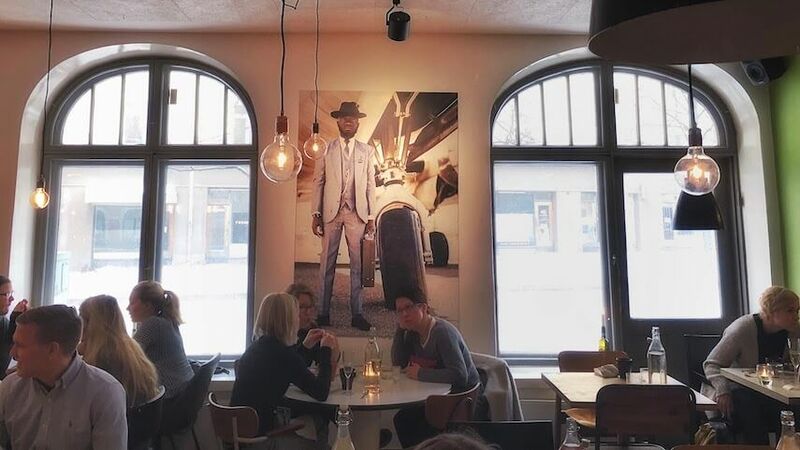 Helsinki is also a city of cool cafés and other eateries like Sandro Eira, which isn’t just a great hangout but it does a killer vegetarian brunch on weekends. 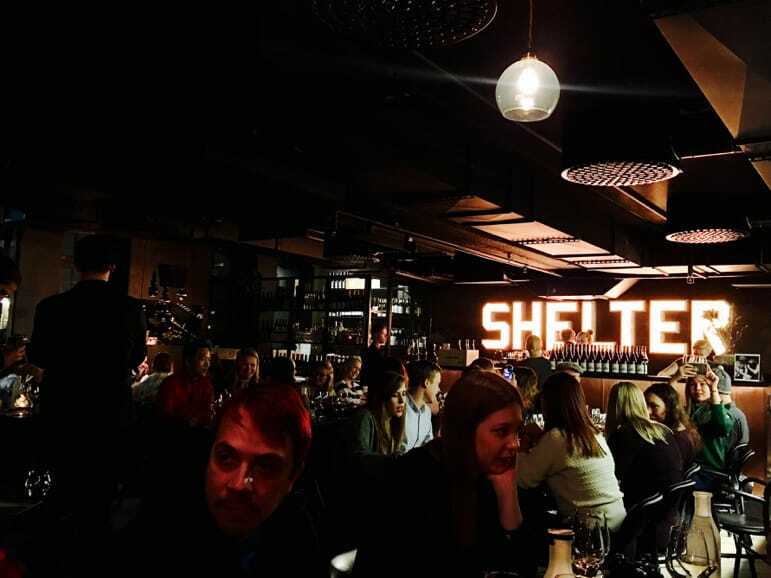 Then there’s Shelter, a hip new hangout by Katajanokka harbour, serves traditional Finnish food with a twist based on seasonal ingredients. 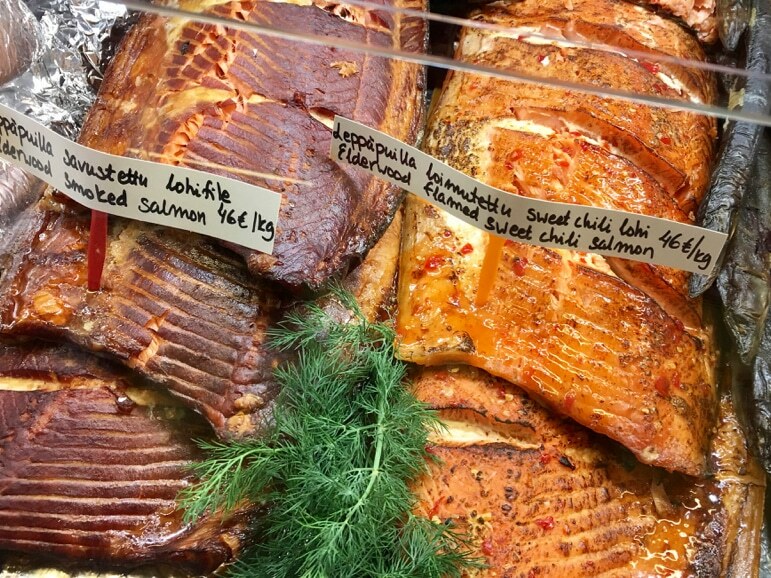 Fish is a constant in Finnish food, but you’ll also find reindeer and other meats, and great desserts. 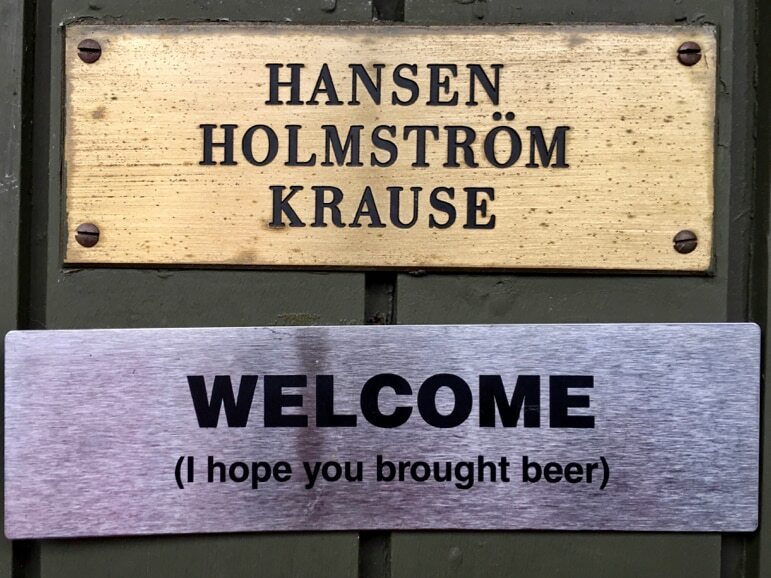 Also although alcohol can be a bit more pricey – think central London prices – you’ll find a mean selection of cocktails in bars like Rusty (upstairs from Shelter) and Runar, just a few blocks away. 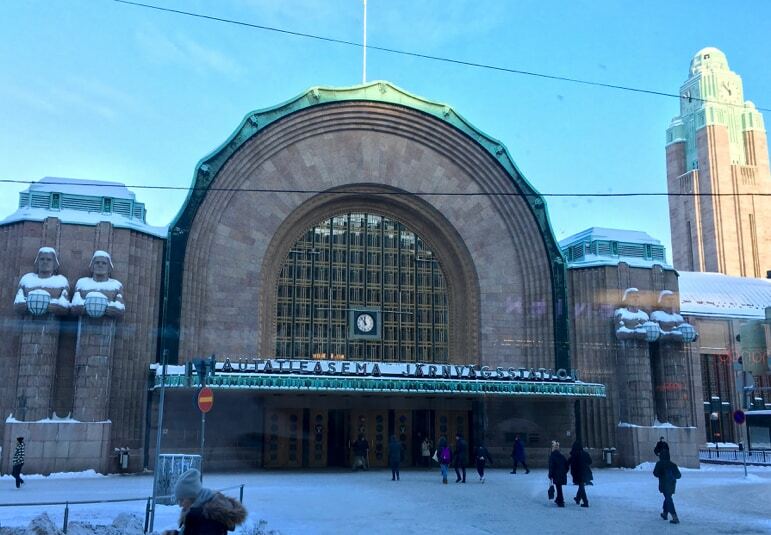 And in fact, that’s another point of note – Helsinki perhaps isn’t as expensive as you’d think. In fact, compared to other Nordic countries Finland’s pretty affordable. 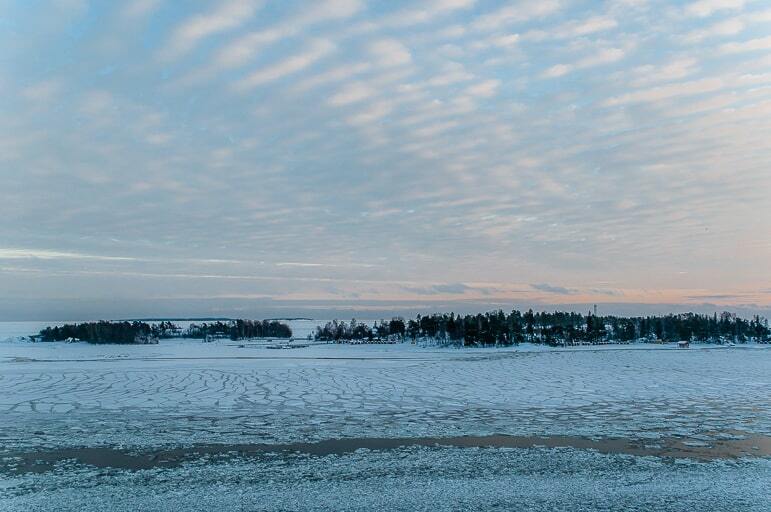 Helsinki is also becoming something of a stopover destination, with Finnair expanding its flight connections and improving its services around the world. And as such, the city is offering a host of stopover experiences for travellers whether you’re staying for five hours or five days. You can go ice-fishing, discover magic in the woodlands, enjoy a sauna or any number of experiences that take you closer to Finnish culture. One I enjoyed was a meet the locals tour. 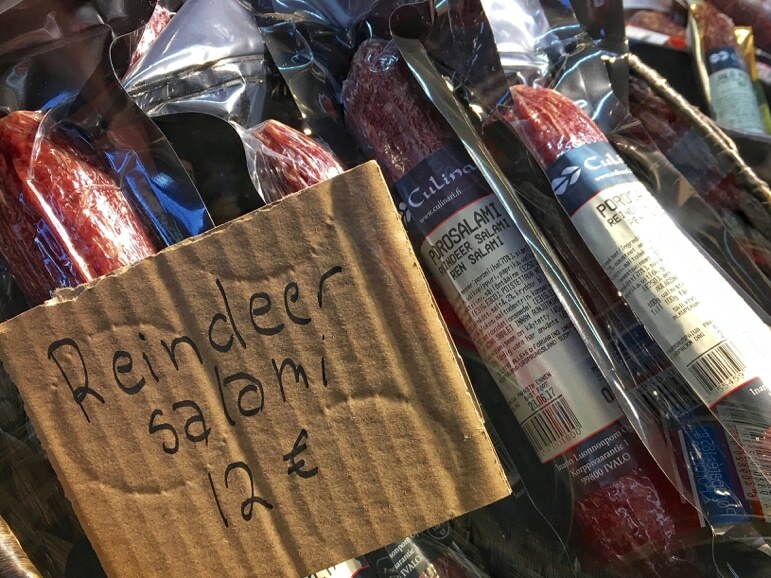 Starting at the Old Market Hall we took in the sights and smells of the market on a tour of Finnish food culture – reindeer and fish from smoked marinated salmon was again a feature, but there were also seasonal runeberg’s cakes and chocolates. 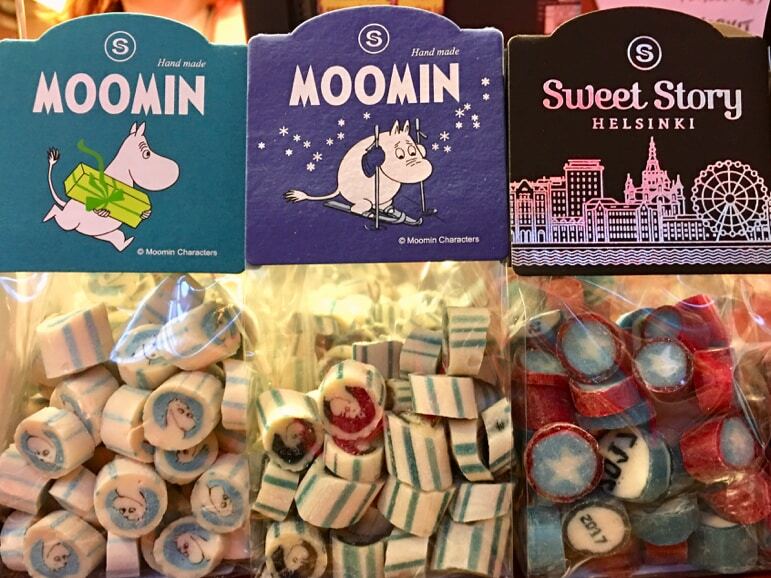 The Finns love chocolate almost as much as coffee, and at the market we also discovered confectionary in the shape of further Finnish heroes – the Moomins. Leaving the market, we drove a little out of town past the angular buildings of the city centre and into a residential area of charming wooden-sided homes. Pulling up outside one home we were greeted by Marina and Sven Hansen for our Home Dining experience. The couple’s warmth melted the chill of the Finnish winter and we were soon drinking a berry juice in their living room, chatting as they finished preparing lunch for us. 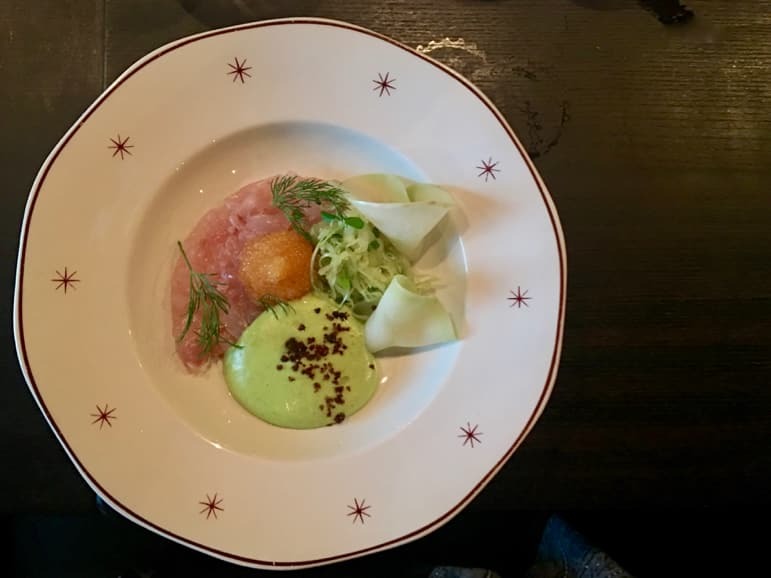 Food is a great leveller – there’s always common ground, or something to learn from each other over a meal. And there’s little more enjoyable, or immersive when we travel than when we meet local people. 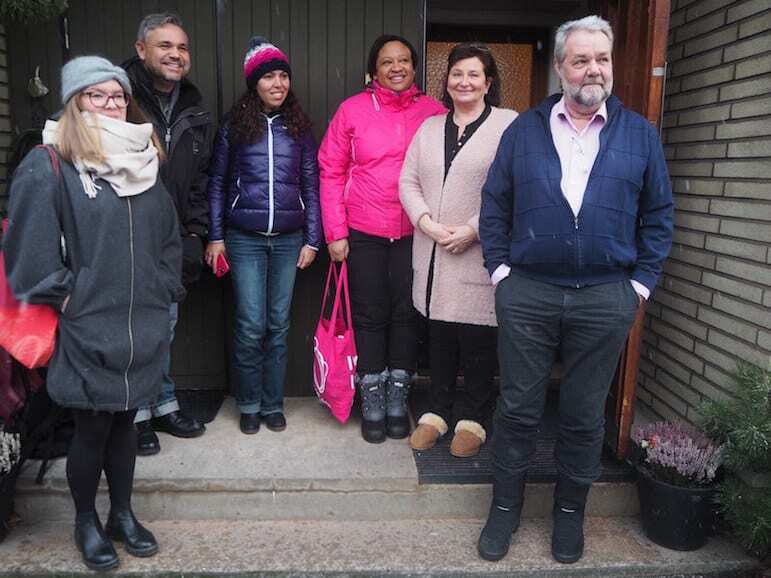 Marina and Sven took us into the warmth of their family and we came away full on Finnish flavours – from beetroot soup to traditional minced meat and potatoes. 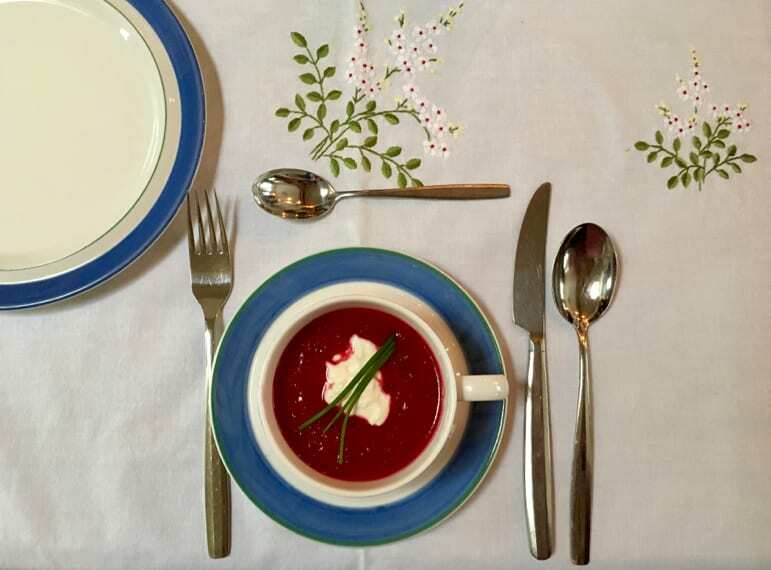 Find out more about Home Dining experiences. Helsinki sits at the border of western and eastern Europe and as we headed east to Tallinn, in Estonia we were bound for another new experience. You can fly to Tallinn, but with just 80 miles between the two cities, it’s more fun to take the ferry. 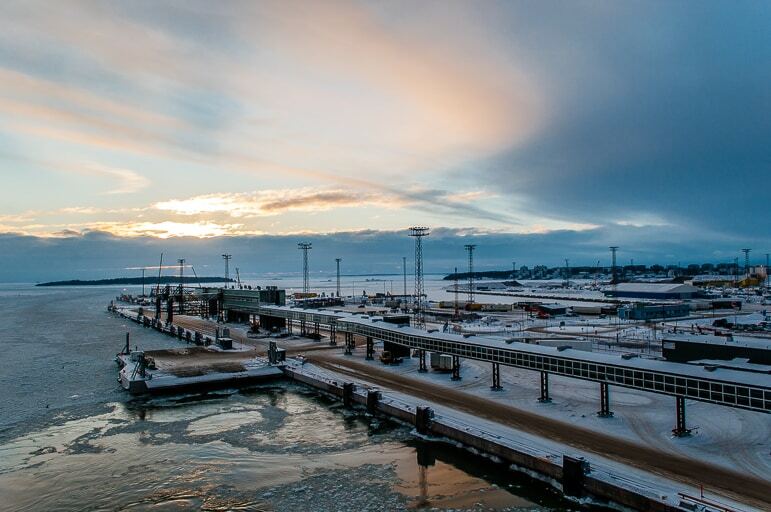 We took the Eckerö Line ferry, and just one of the reasons why the ferry is the way to travel is that it takes you across the icy Baltic Sea that lies between the two capitals. 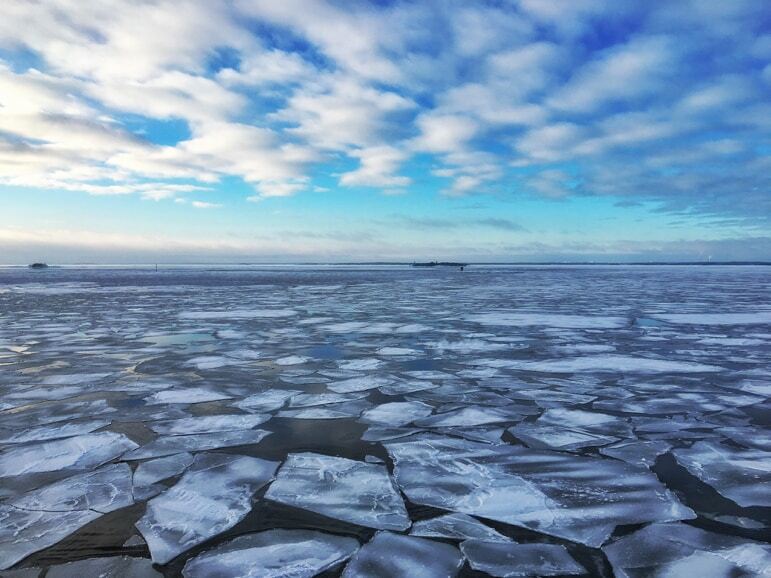 Leaving Helsinki, our ship had to fight it’s way out, breaking the frozen sea into ice sheets as we travelled. 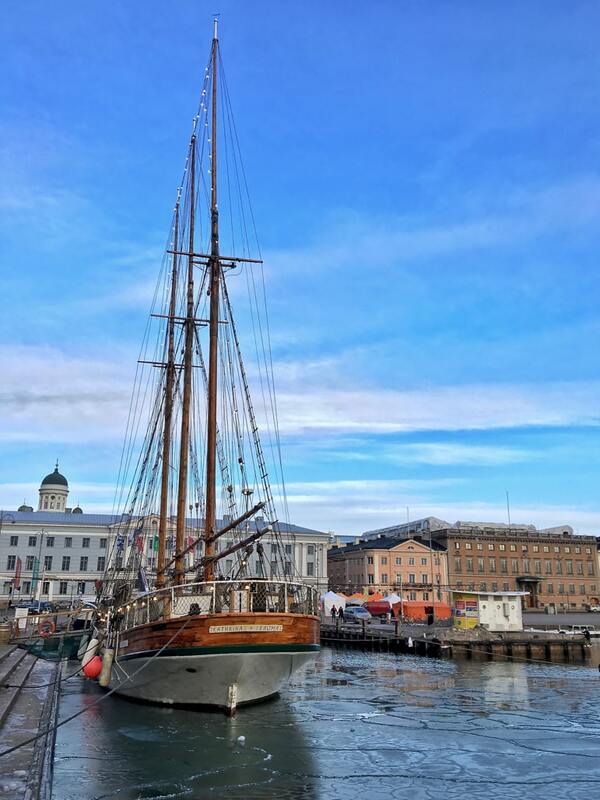 It was of course “Baltic” up on deck so it’s not a place to stay for long in winter months, but with bars, restaurants, entertainers and more, the Eckerö Line ship has plenty to keep you busy during the two-and-a-half hour journey. 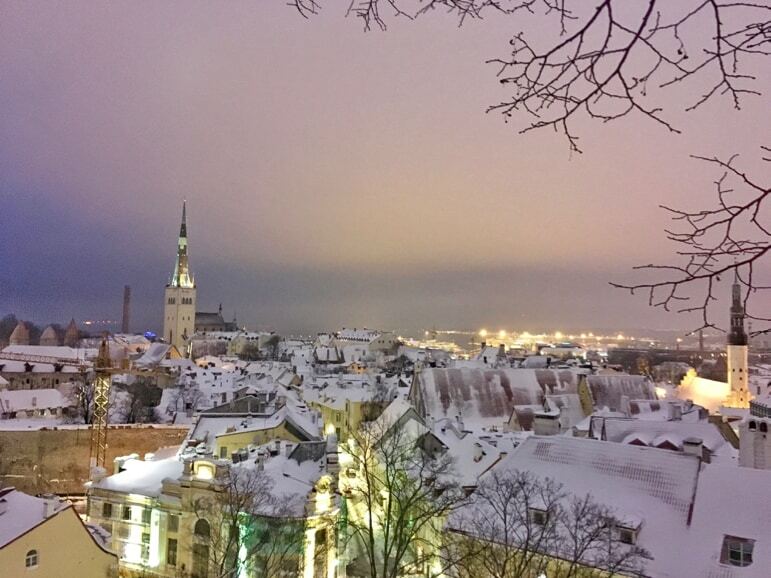 While Helsinki melds modernity, Tallinn is a more traditional European city break experience. 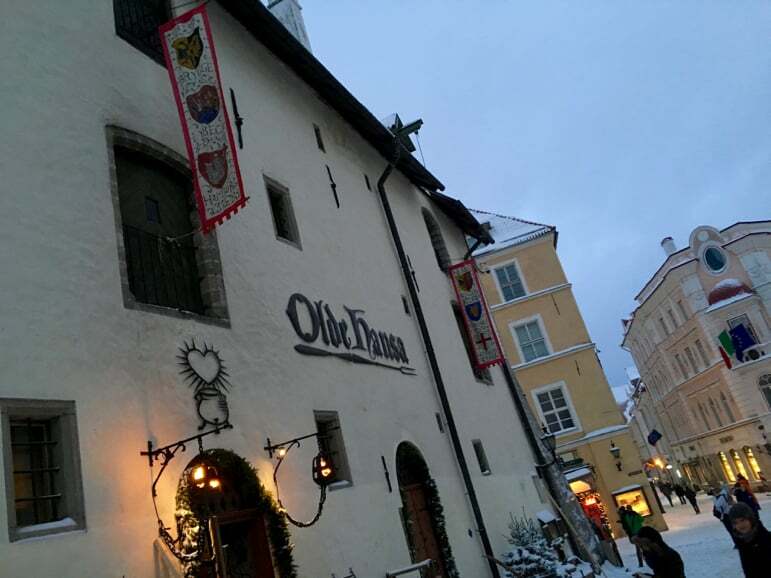 It’s centuries-old centre is one of the best preserved examples of a medieval city, and as such, is a UNESCO World Heritage Site. 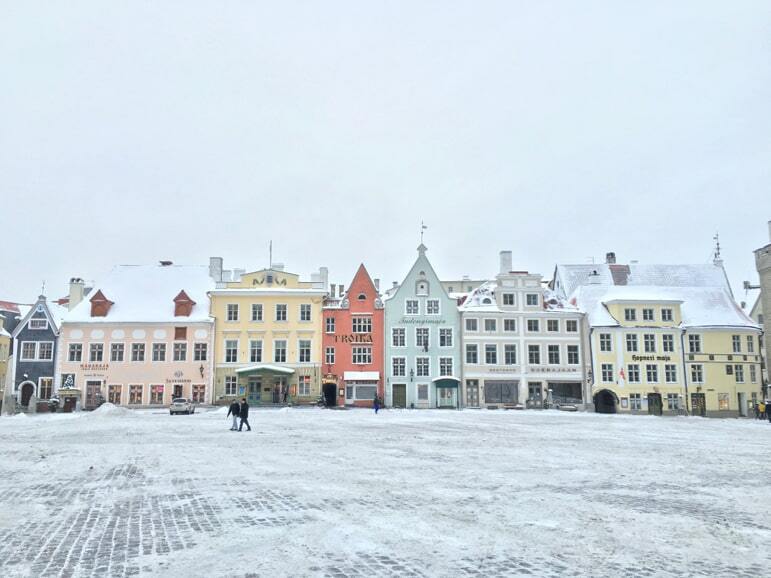 As a member of the Hanseatic League and given its position on northern European trade routes means Tallinn had great significance and wealth in the 14-16th centuries, and this is evident in the old town’s architecture. 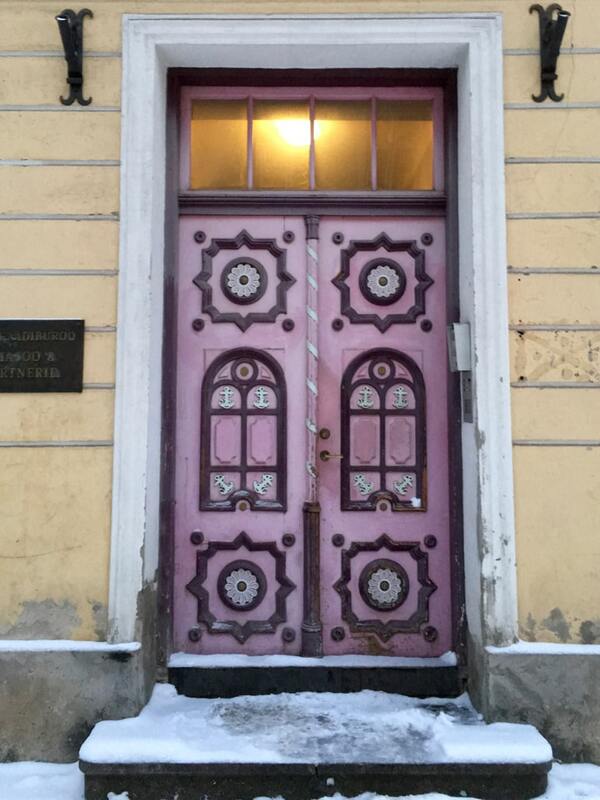 Stepping off the Helsinki-Tallinn ferry in early evening we wandered the town at twilight, shuffling through its snowy streets as the glow from street lights warmed our path. We paused for window shopping. 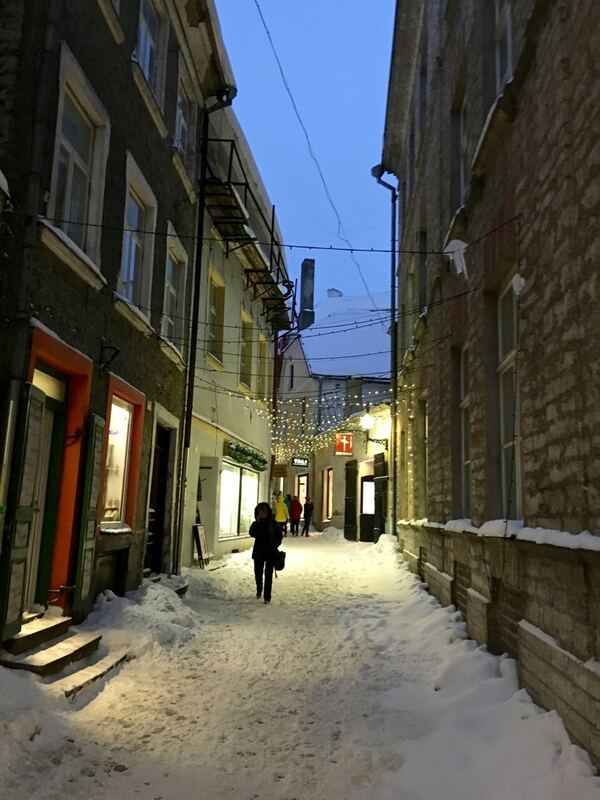 From the omnipresent goods crafted out of local amber to quirky boutiques, there were plenty of great shops in Tallinn’s old town, showing off the fact that Helsinki isn’t the only design-forward city in the Nordic region. 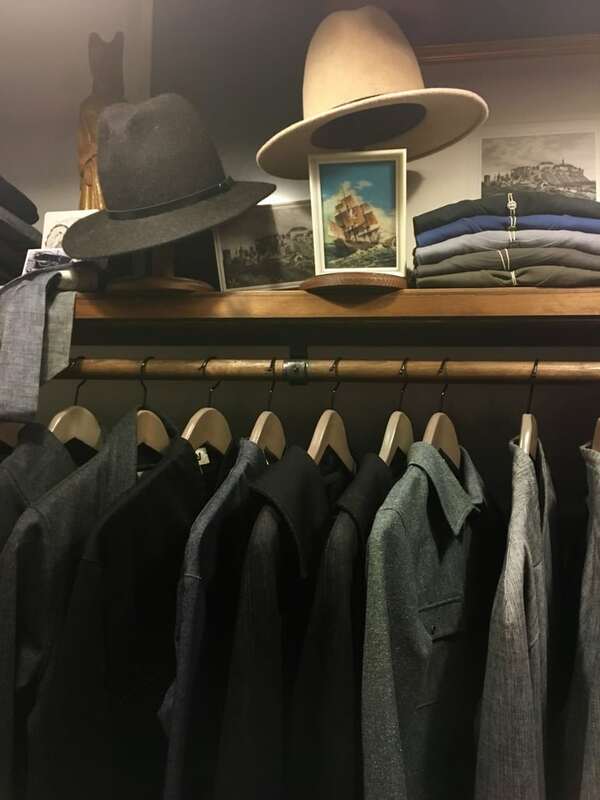 At Revel Denim Guild, a creative studio, denim store and milliners, we found timeless styles with contemporary cuts made of natural fibres. 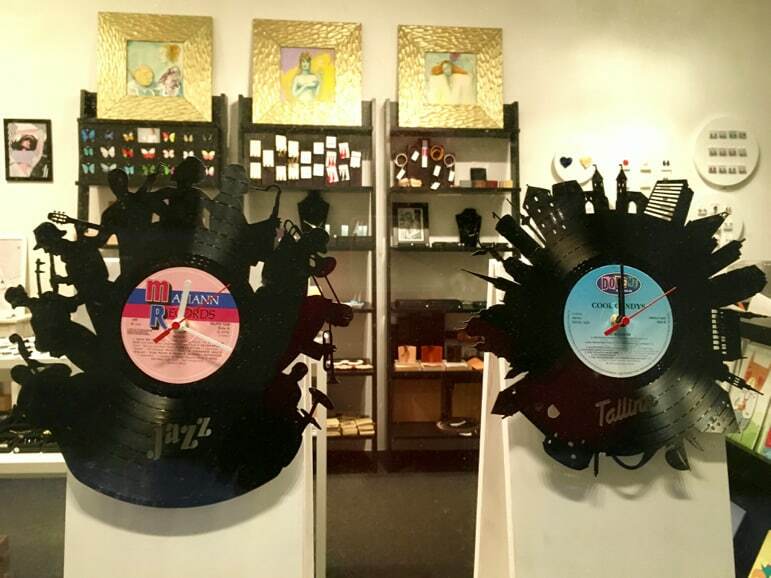 The company has been trading since 2012 and is, if you’ll pardon the pun, at the cutting edge of Tallinn’s fashion scene, revealing a northern cool, I’d yet to discover. Again, the architecture lover in me was taken by everything from the bulbous domes of church roofs, to the stately neoclassical buildings and decorative doors, which I yearned to get a look behind. But I wouldn’t be dining with the locals in this city. Instead I headed back to my hotel, the Savoy Boutique Hotel, for dinner at its restaurant, Mekk. 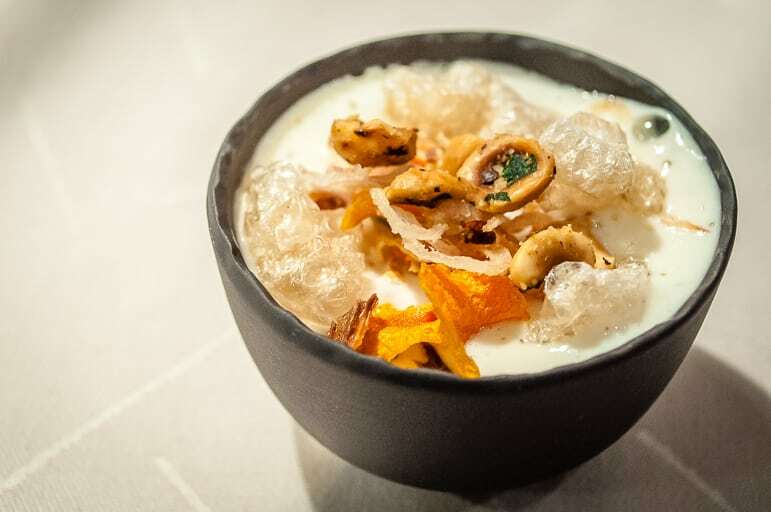 Mekk has been making waves in the city’s dining scene, for chef Rene Uusmees’ modern twist on Estonian cuisine. 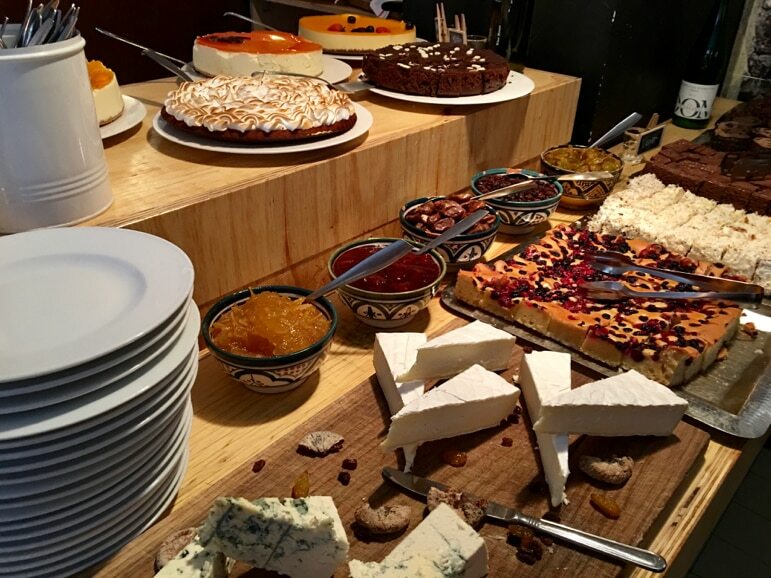 Taking the best aspects of food from Sweden, Denmark, Germany and Russia, Estonian cuisine is hearty and characterised by fish, meat – typically pork, and plenty of root vegetables, there are also excellent Estonian cheeses. 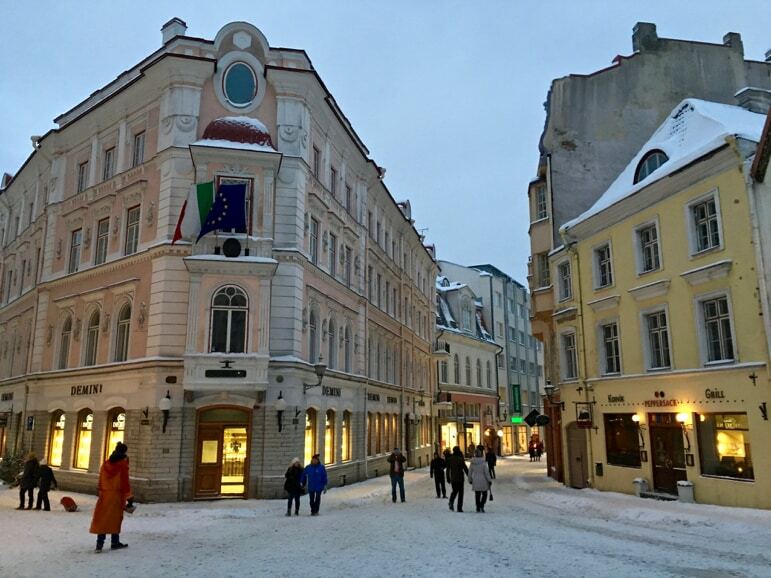 Mekk, sees its position at the intersection of the old town and modern Tallinn as indicative of its style. 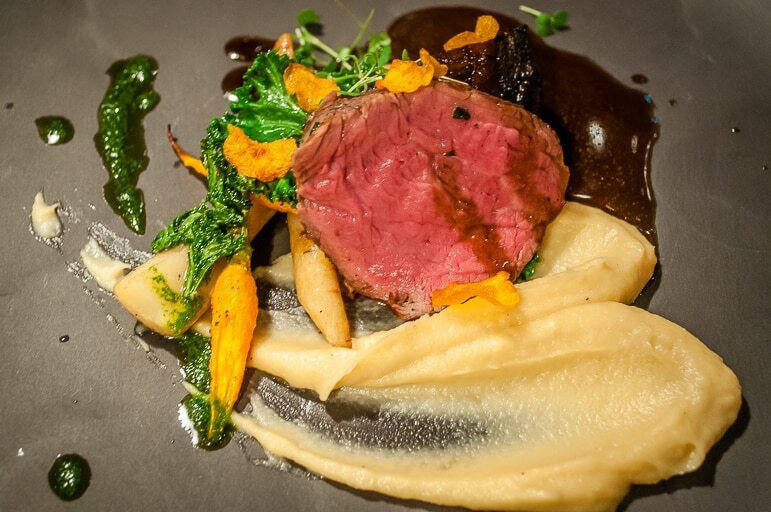 It gathers all of these influences and puts them together in deliciously creative dishes. 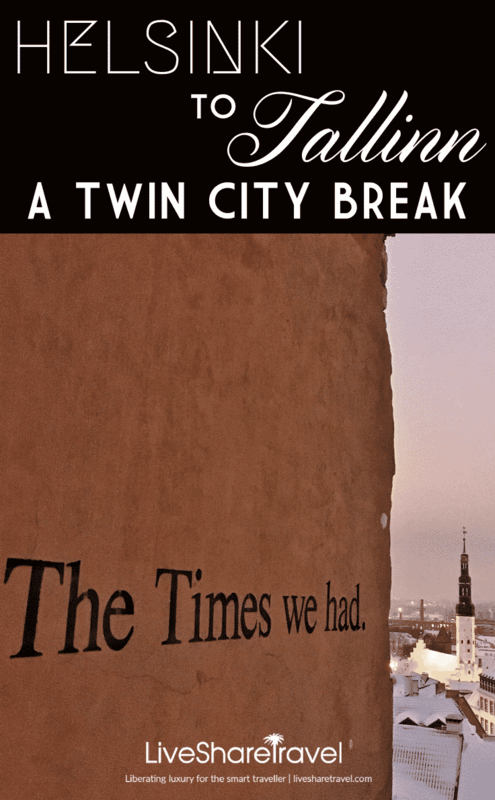 Tallinn and Helsinki are not necessarily cities you would think to pair together for a break, but they have enough commonality to make them complementary and yet enough contrasts to make them interesting. With excellent connections from all over the world, and a fascinating ferry service to add to the experience, they’re a great pairing for a cool winter break. There are lots of good hotels in both cities, but we stayed at the Klaus K Hotel in Helsinki – a trendy, well-located, four-star design hotel, and the Savoy Boutique Hotel in Tallinn – a more traditional four-star, but it comes with great views of the old town and Mekk is a mere stumble downstairs – breakfasts are good here too. Want more options? 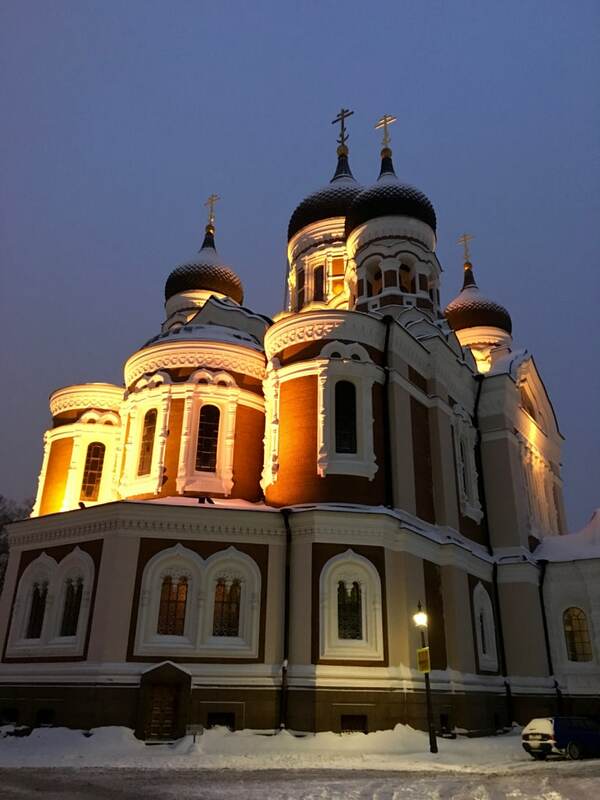 Check for hotels in Helsinki and hotels in Tallinn.